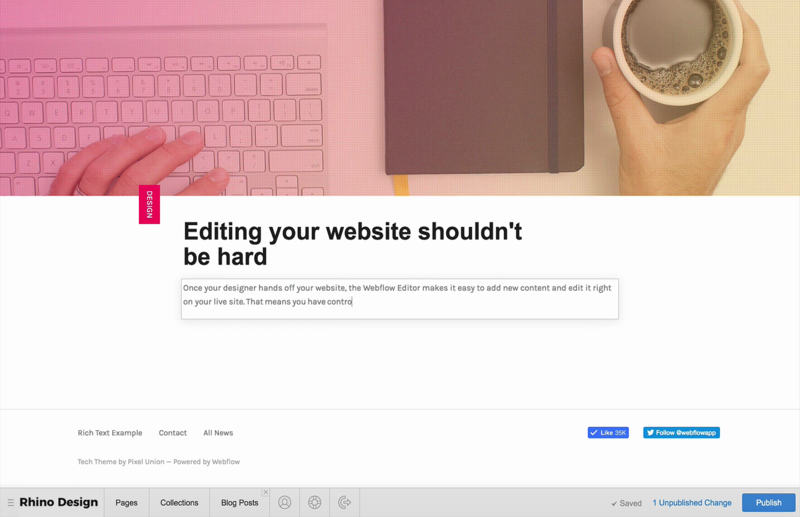 With our website manager, our clients can create and edit content right on their website, so there’s no need to navigate a messy back-end content management system (we’re looking at you, WordPress). Once our clients are happy with the changes, they can publish their site with the click of a button. Adding new content is as easy as filling out a form. 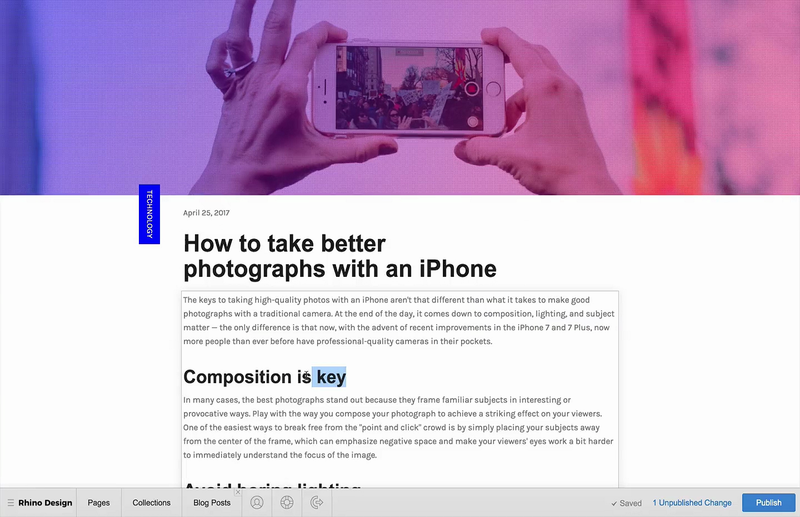 It is even possible to write new content right on the page to see exactly how it will look once it’s live. With our website manager, there’s no need for a plugin to manage and update our clients SEO settings. 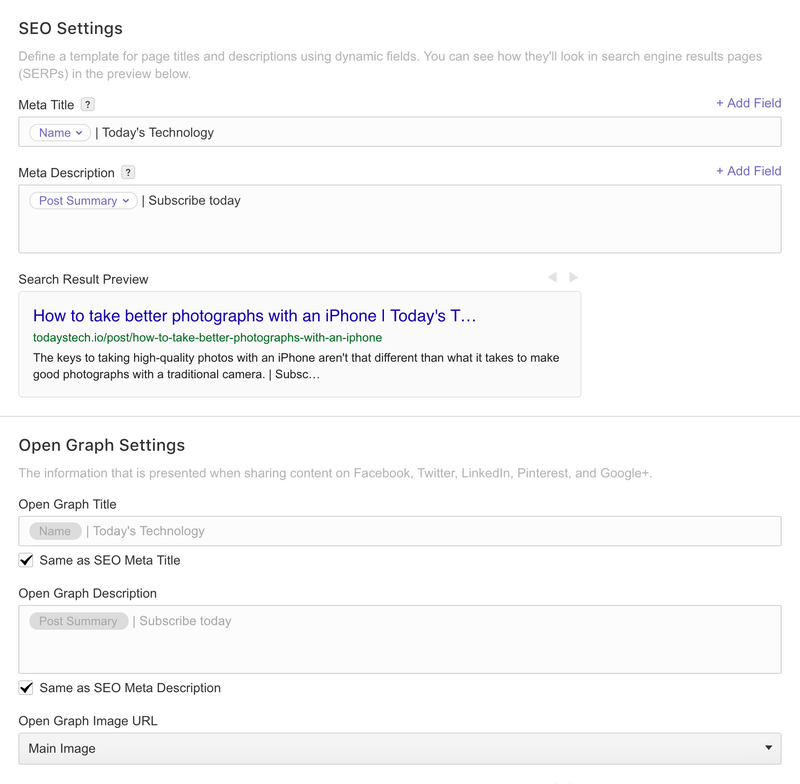 From page titles to meta descriptions, URLs to Open Graph settings — it’s easy to optimize every page for search. 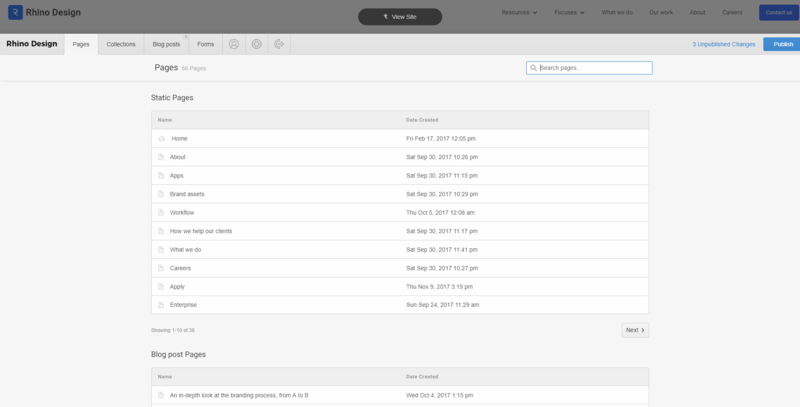 Our CMS dashboard is streamlined and fully customizable for our clients, based on their site's unique content structures. And best of all, it lets them write and edit right on the website! Web design is complex. We get it. That’s why we have a dedicated support team that’s always quick to respond. We offer responsive support to ensure all of our clients needs are met. 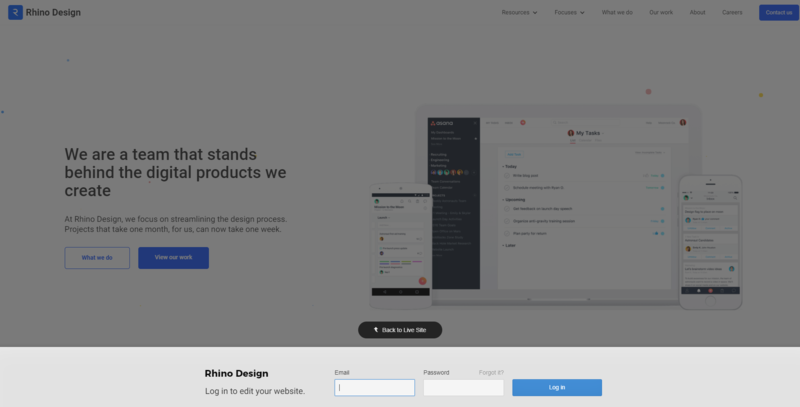 Simple on-page editing, minimal dashboard UI and full-scale features to help you adjust your website the way you want. 24/7 On-site support for our website manager, if you are experiencing a problem. We can help. SSL on all sites, backed by constant threat monitoring, 24/7 security for all of your users. See incoming form submissions right on your website or download a full CSV of all your form data.